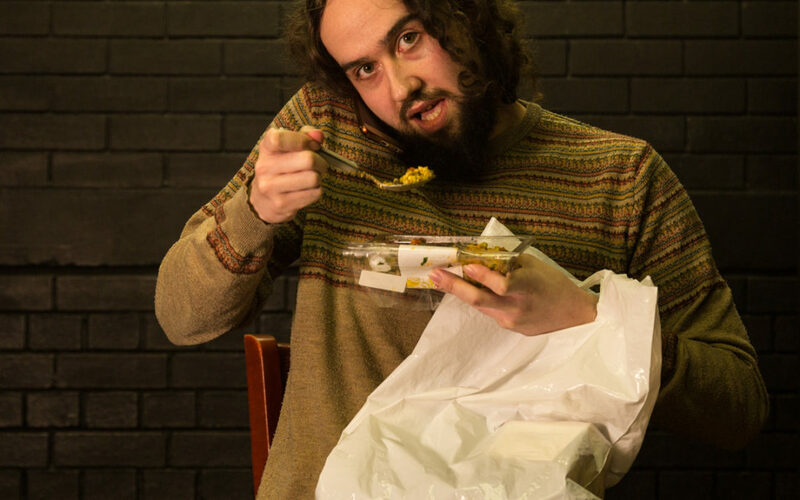 Year of the Monkey 2016 graduate Ben is taking his show Blowhole to the Tristan Bates Theatre this May. Find out how he created his one man show. A bit of everything, which has been lovely. I was getting some really lovely acting work when I left Fourth Monkey. I did a West End gig straight after Edinburgh, but then everything went extremely bad. I had an almighty crash back down to reality and found myself sofa-surfing in London, extremely skint and crying a lot. I think that’s all pretty normal after training as an actor and having quite a full-on year or so. After feeling a little lost, things got better. I started writing and performing sketch comedy with my writing partner, Lucy Miller. We went along to the Soho Theatre’s Young Company and continue to perform as our double act, Miller & Salmon. I then stuck around at Soho a bit longer and completed the Writer’s Lab programme. Amongst all of that, I worked for a year full-time as Assistant Director on National Youth Theatre’s (NYT) social inclusion program, Playing Up. As an Associate Artist at NYT I audition young people for the company. I regularly lead workshops on the Theatremakers program for Soho’s Young Company, and I’ve kept acting; and thanks to the Writers Lab programme at Soho, I’ve kept writing. Blowhole is a one person play that I’ve written and perform in. The play is a tragicomedy about a young man – who we only know as “Him” – in his twenties, navigating his life in London. His is on his modern day gay quest to lose his virginity and find connection in a city and within a community that feels completely devoid of connection. It’s a play about what it is to be gay, lonely, human and sort of tracks Him over the course of a year or so, as he fights against having to confront the demons he has towards his sexuality, the people in his life, and the grief he still carries around with him until he’s well and truly about to blow. I got bored by what I was seeing. The gay roles and the gay stories I still continue to see, tend to be played by really conventionally beautiful people. That made me cynical and then insulted because the stories weren’t even truthful, or funny, or honest enough a lot of the time. I was seeing vacuous stuff and so I think I sort of felt compelled to write something that I thought could be a bit of an antidote to all that. I wanted a gay man circa now to take centre stage, and be allowed to be his emotionally uncensored self – especially if that meant an audience would find him outrageous, unlikeable and shocking at times, but ultimately extremely loveable. I think some human beings like to think that the best humans are really good and really kind all of the time, but that’s boring and those types of humans tend to be dull. We all make mistakes, and none of us are perfect, so I thought it was time to write a gay man who makes mistakes, has a bunch of flaws, but who could still make you laugh, because that felt like the most truthful thing, and a human I’d want to spend time with. Can you tell us about the process of creating your own show from scratch? So, during the period after finishing Fourth Monkey – when I was sleeping at my sister’s flat, eating two meals a day and crying over the phone to my Mom and Dad back in the Midlands, I had a night in by myself and I started watching this really cool sounding show on iPlayer that was called Fleabag. I completely fell in love with Phoebe Waller-Bridge, who was writing glorious, heart-wrenching, outrageous stuff that was sort of defying genre and expectation on so many realms. And then shortly after, I got really really drunk and I left a party without saying goodbye to anyone, got on the Tube and started word vomitting on my phone, what was the beginning of Blowhole, and what was this initial monologue idea for this character who I never got round to properly naming. I scratched the ideas I’d written at a Monkey alumni work in progress night and it went well, so I knew I had to do something with it. I then got onto Soho Theatre’s Writers Lab programme which was so formative in giving me a process as a writer. It also gave me wonderful dramaturgical support from the wonder that is Jules Haworth over there, that I took through with me over the course of three drafts and nine months. After Soho, I met Tom Wright who is a wonderful man and the wonderful director of Blowhole, and over a bit of time and hard work, we presented the play as a rehearsed reading at the Park Theatre last February. There’s no process to my creative process – words and ideas and conversations will make themselves known in my head and I then write them down before I forget. I also tend to listen to other people’s conversations or my own conversations with people and steal something they’ve said that makes me laugh or has stuck with me, and write about it some more. I’ll read over stuff and try and make the crap stuff better. It’s important to still like what it is that you’re writing – and to well and truly look after it. I think that’s ultimately how you write something that you and other people love, if you care for it no matter how hard or difficult it may get. Where will Blowhole be performed? 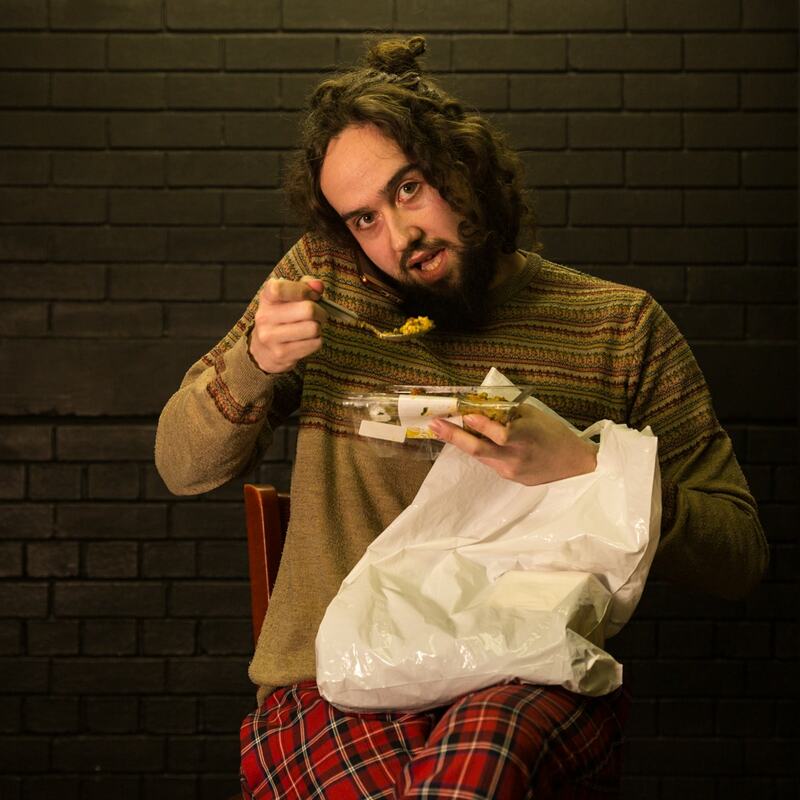 Blowhole will be performed at the Tristan Bates Theatre on May 21st and 22nd, as part of Otherland Theatre’s curated Queer Season. It feels lovely to be “levelling up”, and having the support of Otherland and Tristan Bates for the play’s next step. It’s lush when good people get behind your work. I think Edinburgh Fringe seems the inevitable overall ambition for the play. I think the play could do really well there and it seems like such a lovely roundabout full circle thing to do, to take this play to one of my favourite places, and to the place that pre-empted my quarter life crisis and the beginning of writing this play. I would love to write for television. I think about things that could be happening to “Him” all the time, and the realm of being able to write for this character and the world he’s in over the course of several episodes of television is something that makes me very excited. There’s only so much you can fit into an hour’s piece of one man theatre – and I’m keen to write the other deeper depths and icebergs that I know are lurking there for “Him”. Do you have any young creatives looking to write their own work? Watch Fleabag series 2. Don’t focus on getting it right the first time around, just write the stuff down and then go back and sort it out later. There is no such thing as writer’s block, just fear and lack of balls to write. It can feel a bit embarrassing and painful to splurge something on the page but the more and more you flex your writerly muscle, you will feel so simultaneously powerful, vulnerable, beautiful and flawed all at the same time. The stuff that comes from all that is what makes people come to the theatre and watch stuff on telly. Quite simply, all you need to do is write the truth. After all that, if it’s still hard to write, have two glasses of red wine and the play will write itself. Genuinely works. And be kind to yourself.